Dr. Jianghua Feng obtained his B.Sc. from the Chemistry Department, Shanxi University, China. He received his Ph.D from the Changchun Institute of Applied Chemistry, Chinese Academy of Sciences, China. 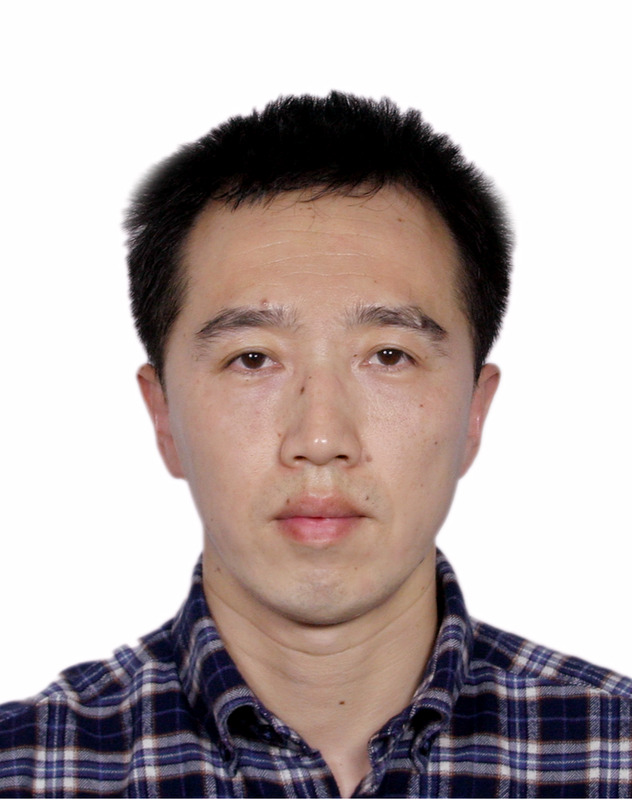 He worked as an Assistant Professor in Changchun Institute of Applied Chemistry, Chinese Academy of Sciences, China. He also served as an Associate Professor in Wuhan Institute of Physics and Mathematics, Chinese Academy of Sciences, China. He has many scientific publications. Currently he is a Professor in the Department of Electronic Science, Xiamen University, Xiamen, China. NMR-based metabonomics and its applications in toxicology; Pharmacology and pathology; The evaluations of efficacy and bio-safety studies of nanomaterials in biomedicine; Food safety and quality control. 1. Yang Chen, Jianyin Zhou, Jinquan Li, Jianghua Feng*, Zhong Chen, Xiaoming Wang*. Plasma metabolomic analysis of human hepatocellular carcinoma: Diagnostic and therapeutic study. Oncotarget, 2016, in press. 2. Shi Wen, Zhishui Li, Jianghua Feng*, Jianxi Bai, Xianchao Lin, Heguang Huang*. Metabonomic changes from pancreatic intraepithelial neoplasia to pancreatic ductal adenocarcinoma in tissues from rats. Cancer Science, 2016, in press, DOI: 10.111/cas.12939. 3. Guiping Shen, Zhishui Li, Yan Zhang, Huifeng Wu, Jianghua Feng*. 1H NMR-based metabolomic study on the physiological variations during the rat pregnancy process. Molecular and Cellular Endocrinology, 2016, 423ï¼š40-50. 4. Jie Lu, Yanyan Shi, Shuhong Wang, Hao Chen, Shuhui Cai, Jianghua Feng*. NMR-based metabolomic analysis of Haliotis diversicolor exposed to thermal and hypoxic stresses. Science of the Total Environment, 2016, 545-546: 280-288. 5. Xin Zheng, Yanrong Zhao, Huifeng Wu, Jiyang Dong, Jianghua Feng*. Origin identification and quantitative analysis of honeys by nuclear magnetic resonance and chemometric techniques. Food Analytical Methods, 2016, 9: 1470-1479. 6. Zhishui Li, Chenghong Lin, Jingjing Xu, Huifeng Wu, Jianghua Feng*, Heguang Huang. The relations between metabolic variations and genetic evolution of different species. Analytical Biochemistry, 2015, 477: 105-114. 7. Yuqing Huang, Zhiyong Zhang, Hao Chen, Jianghua Feng, Shuhui Cai, Zhong Chen. A high-resolution 2D J-resolved NMR detection technique for metabolite analyses of biological samples. Scientific Reports, 2015, 5: 8390. 8. Honghao Cai, Hao Chen, Yulan Lin, Jianghua Feng, Xiaohong Cui, Zhong Chen. Feasibility of ultrafast intermolecular single-quantum coherence spectroscopy in analysis of viscous-liquid foods. Food Analytical Methods, 2015, 8: 1682-1690. 9. Jianghua Feng*, Youe Yan, Gai Liang, Yansong Liu, Xiaojun Li, Benjian Zhang, Liaobin Chen, Hong Yu, Xiaohua He, Hui Wang. Maternal and fetal metabonomic alterations in prenatal nicotine exposure-induced rat intrauterine growth retardation. Molecular and Cellular Endocrinology, 2014, 394: 59-69. 10. Jinquan Li, Zijian Zhou, Jianghua Feng*, Shuhui Cai, Jinhao Gao, Zhong Chen. NMR-based metabonomic analysis of MnO-embedded iron oxide nanoparticles as potential dual-modal contrast agents. Journal of Nanoparticle Research, 2014, 16: 2411-2426. 11. Hao Kou, Yansong Liu, Gai Liang, Jing Huang, Jieqiong Hu, You-e Yan, Xiaojun Li, Hong Yu, Xiaohua He, Baifang Zhang, Yuanzhen Zhang, Jianghua Feng*, Hui Wang. Maternal glucocorticoid elevation and associated blood metabonome changes might be involved in metabolic programming of intrauterine growth retardation in rats exposed to caffeine prenatally. Toxicology and Applied Pharmacology, 2014, 275: 79-87. 12. Jinquan Li, Zhenghuan Zhao, Jianghua Feng*, Jinhao Gao, Zhong Chen. Understanding the metabolic fate and assessing the biosafety of MnO nanoparticles by metabonomic analysis. Nanotechnology, 2013, 24: 455102. 13. Jianghua Feng*, Jinquan Li, Huifeng Wu, Zhong Chen. Metabolic response of HeLa cells to silica nanoparticles by NMR-based metabolomic analyses. Metabolomics, 2013, 9: 874-886. 14. Yansong Liu, Dan Xu, Jianghua Feng*, Hao Kou, Gai Liang, Hong Yu, Xiaohua He, Baifang Zhang, Liaobin Chen, Jacques Magdalou, Hui Wang. Fetal rat metabonome alteration by prenatal caffeine ingestion probably due to the increased circulatory glucocorticoid level and altered peripheral glucose and lipid metabolic pathways. Toxicology and Applied Pharmacology, 2012, 262: 205-216. 15. Jianghua Feng*, Huili Liu, Kishore K Bhakoo, Lehui Lu, Zhong Chen. A metabonomic analysis of organ specific response to USPIO administration. Biomaterials, 2011, 32: 6558-6569. 16. Jianghua Feng, Jing Zhao, Kishore K Bhakoo, Fuhua Hao, Chang Chen, Huiru Tang. NMR-based metabonomic analyses of the effects of ultrasmall superparamagnetic particles of iron oxide (USPIO) on macrophage metabolism. Journal of Nanoparticle Research, 2011, 13: 2049-2062. 17. Jianghua Feng*, Marco M Meloni, Stuart M Allan, Stephen Faulkner, Johanna Nvrvainen, Rishma Vidyasagar, Risto Kauppinen. Tuftsin Derivatives of FITC, Tb-DOTA or Gd-DOTA as Potential Macrophage-Specific Imaging Biomarkers. Contrast Media & Molecular Imaging, 2010, 5: 223-230. 18. Guo Zhang, Jianghua Feng*, Lehui Lu, Baohua Zhang, Linyuan Cao. Fluorescent magnetic nanoprobes: Design and application for cell imaging. Journal of Colloid and Interface Science, 2010, 351: 128-133. 19. Jianghua Feng*, Huili Liu, Limin Zhang, Kishore K Bhakoo, Lehui Lu. An insight into the metabolic responses of ultra-small superparamagnetic particles of iron oxide using metabonomic analysis of biofluids. Nanotechnology, 2010, 21: 395101.